While most walking canes are capable of making your life a lot easier, there are some things that they are less proficient at. Most of the walking canes, particularly ones with a single base, are unable to stand by themselves. This means that you must either leave them in a container or lean them against another surface. One of the downsides of doing this, however, is that the canes to fall over when in such positions. Now, this can be frustrating for two main reasons. First, it means that the cane is damaged or broken when it falls to the ground. Second, it also requires you to bend over and pick up the cane which can be quite dangerous if you are not steady on your feet. Fortunately, a cane holder is the perfect solution to such a dilemma. Cane holders are essential accessories. They are used to make sure that your cane does not fall to the ground while you are not holding on to it. For the most part, there are two main types of cane holders. The first is the one stays affixed to a particular object such as a table. These are clip-on holders that are equipped with a clasp. One end is attached to the flat surface while another end has space where the cane can be held. Another type of holder is one that can be attached to the cane and carried around. Then you are able to rest it on a variety of flat surfaces. If you are looking to move around within your own home, it is quite handy to have clip-on holders in many of the rooms. It can prove to be particularly useful in the kitchen when you are cooking. If you are going to be moving around outside your home, however, it is a good idea to have the holders that are fixed to your cane. When you are looking for a cane holder for your walking cane, there is one important thing to remember. You will need to ensure that the circumference of the cane shaft fits snugly into the opening of the holder. If the holder is too small, the cane will not fit and the opening is too large, the cane will simply fall through. Most holders have an opening that is about an inch in diameter. A good way to ensure that your cane will stay put regardless of the size is to get a holder that is quite flexible. If not, once you have found the ideal walking cane, you should take the measurements and compare them with the holder. Another thing that you should consider is the material of the holder. 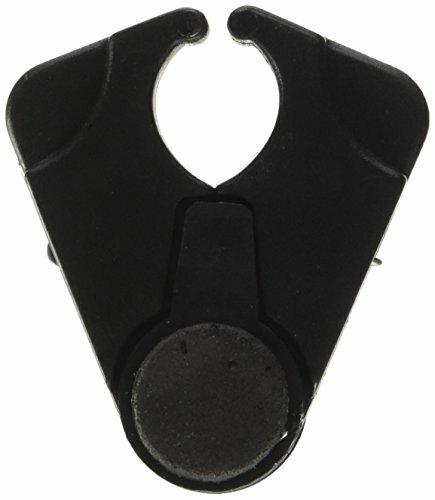 This holder should be compatible with staying put on surfaces made of a variety of materials. It is essential that the holder will remain fixed to the surface, regardless of what it is composed of. While there are many different cane holders to choose from, not all of these pass muster. There are many that simply do not do what they claim. If you do not want to waste your money, you will be better off trying these tried and true accessories. HealthSmart is known for designing some innovative cane products and the CaneStay is no exception. The real advantage with this is that it easily clips onto your cane. This means that you can keep it on your cane without having to remove it. Then, when you need to use it, you simply prop it up on a table or any other flat surface. This holder works well with walls as well. Simply rest it against the wall and you can be guaranteed that your cane will not move. The holder is made of textured plastic which ensures that it remains fixed to any surface that you want. If you are looking for a cane holder that is useful as well as durable, then the Ingrid cane holder should be on top of your list. It is composed of both stainless steel and thermoplastic rubber. This ensures that you can take it with you wherever you go. All you have to do is snap it onto your walking cane. The opening is capable of accommodating diameters from about ¾ inch to one inch. Once the cane is strapped in, it is simply a matter of placing your cane wherever you choose. It works well on tables, over chair handles, and can even be affixed to your shopping cart. 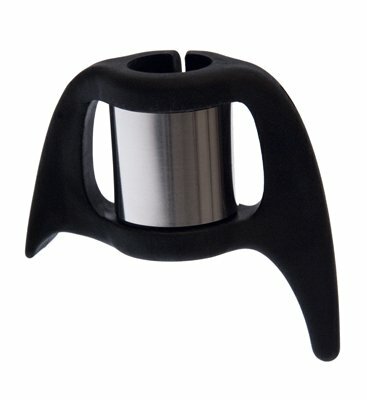 This cane holder is the type that you fix to flat surfaces, particularly tables. 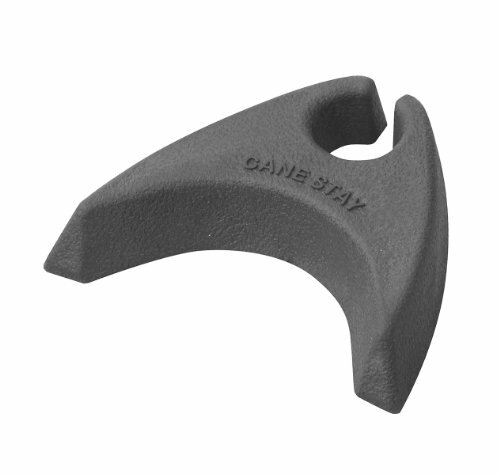 The NOVA Cane Holder comes with a little pad attached that allows the holder to be stuck to your desired surface. Then, you must just slip the cane in between the jaws. The jaws are quite flexible and therefore works well with canes of many different sizes. When you are ready to go, you just have to pull the cane out and be on your way. It is the perfect item to have in different places around your home. It is sure to come in handy. Regardless of whether you have only just started to use a walking cane or if you have been a user for a while, these holders will be ideal. They will certainly make having a cane a lot easier for you. Never again will you have to dread the sound of your walking cane hitting the floor.